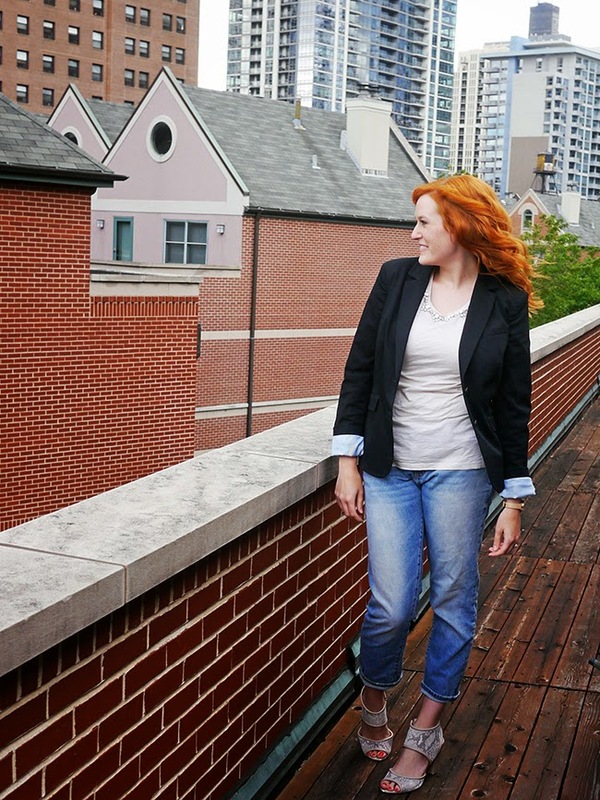 Last week we had some weirdly cool weather in Chicago, which meant that jeans and the blazer came back into play. I wore this out for what was supposed to be one drink last week, which somehow turned into five martinis and shutting down the bar. Sometimes these things happen. Linking up with Tuesday Pretties, Style Sessions and Stylish Tuesday. Sounds like a great night! I love this look and I cannot wait to try it when it cools off here in the fall. I love how it looks on everyone. That shirt! SO, so, so cute! Love this look ! Professional but so cute ! Love the shoes! I'm in love with your hair and hair color! Love this look, especially with those shoes! I haven't drunk a martini in years! Yes these things do sometimes happen! This is my go to look - jeans and a blazer with a t-shirt underneath. I like the sequins on the neckline. 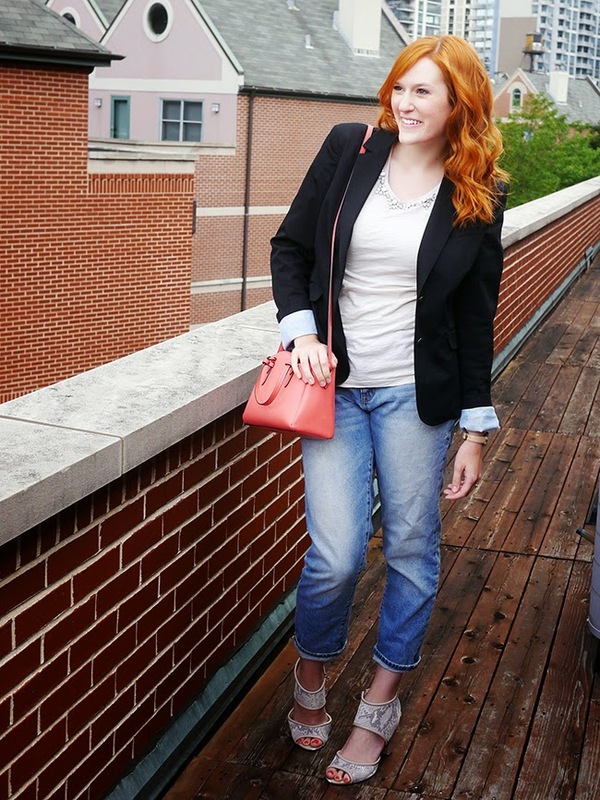 I am absolutely obsessed with boyfriend jeans and blazers. I have so many of the two. Great outfit!! 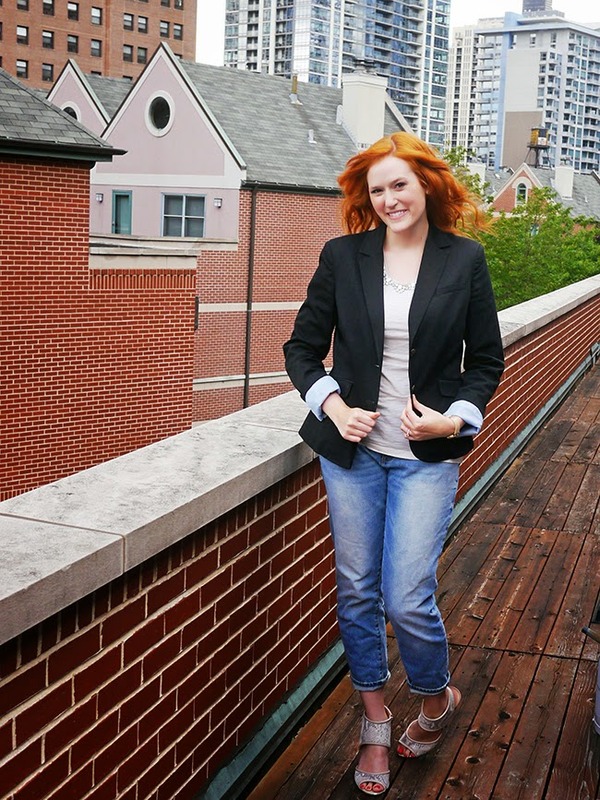 That random cool day or two can be nice in the summer, because it's the perfect excuse to pull out a blazer and do something a bit different. 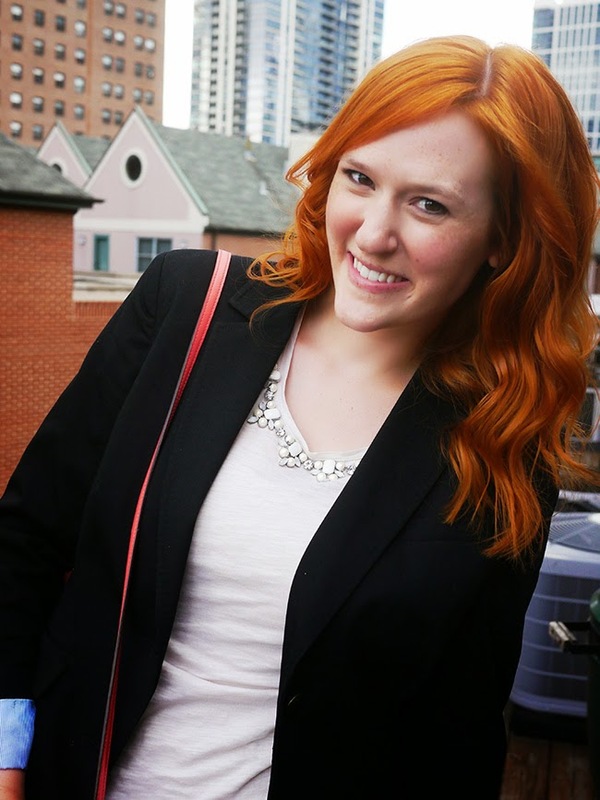 I don't mind cooler weather if it means blazer weather- I love blazers! Hahaha when those things happen it usually equates to an awesome night! Love the jewel detail on your top, very cute!